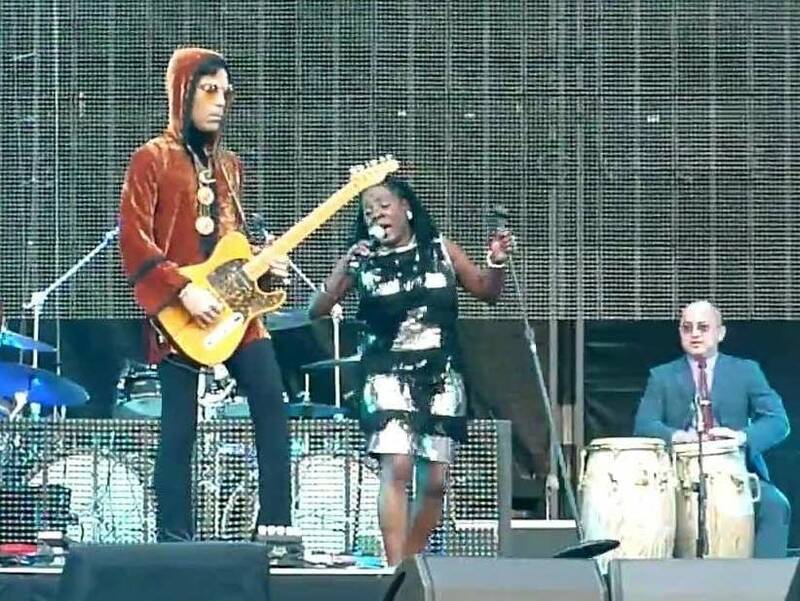 We lost two incredible legends in 2016, but as many reported after Sharon Jones passed in November, she and Prince had a couple of meetings back in 2011. In March of 2011, Sharon Jones and the Dap-Kings were invited to open for Prince at Madison Square Garden after he saw them in action at SXSW in Austin TX. Prince told her, " 'Girl, you took me to church,' " Jones recalled." That was my first 'I don't know what to do with myself' moment." Three months later, in June of 2011, both the Dap-Kings and Prince were in Paris, Prince surprised the band onstage while Jones and the Dap-Kings were performing "When I Come Home." He appears at about 6 minutes and 45 seconds in. "He caught me off guard. He would've played longer, but he dropped his pick." "[He]... jumped back on his bike, and rode back to his own, purple dressing room," Jones told Entertainment Weekly. Sharon Jones: her music and legacy will live on As The Current honors Sharon Jones as part of its celebration of Black History Month, her songs -- and her spirit -- will live on.